Length: 2 hrs. 41 min. “Is the experience of God’s grace in your life a thrilling thing? Just thinking about the fact that God, by His own sovereign plan, decided to be gracious to me is overwhelming. 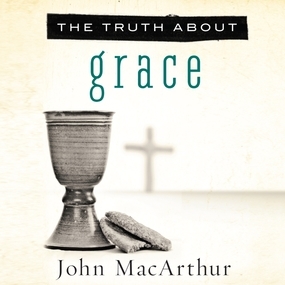 There is nothing greater than receiving grace upon grace.” —John MacArthur. Simple definitions can make grace feel like an obvious—even mundane—concept. Nothing could be further from the truth. Grace is the defining feature of the Christian faith. Once we understand how undeserving we are and how much favor we’ve been given, grace becomes shocking, thrilling, inspiring, and contagious. Best-selling author and pastor John MacArthur illuminates this profound concept with verse upon verse of Scripture. He also shows that misunderstandings about grace have led to some of the church’s greatest problems, perhaps because grace is her most precious gift.